The temple at Rameshvaram, besides being considered a Dhama, is also one of the twelve sacred Jyotir Linga sites. These sites, located throughout the sub-continent of India, are where the god Shiva is said to have manifested as a towering column of fire. 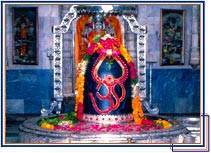 The jyotirlingam was worshipped by Lord Rama to atone the sin of killing Ravana. Hanuman flew to bring the Linga from Kailasa, for Lord Rama to wroship. As it was getting late, Rama worshipped the Lingam that was made of sand by Sita Devi. This Lingam worshipped by Lord Rama is known as Ramanathar. When Hanuman returned he was disappointed that his Lord had not used the Lingam that he had brought. Lord Rama pacified Hanuman & named this Lingam Kasi Viswanathar. Devotees have to worship Kasi Viswanathar before worshipping Ramanathar. Rameswara, as its name implies, is the holy place of Rameswara. i.e.,Iswarainstalled by Rama.The presiding deity is known variously as Rameswara,Ramalinga or Ramanatha. According to puranas, as advised by Rishis, Ramaalong with Sita and Lakhsmana, installed and worshipped the Sivalinga hereto expiate the sin of Brahmahatya ( Ravana was Brahmin being the greatgrandson of Brahma himself ). It is said that Rama fixed an auspicious time for installation and sentAnjaneya to Mount Kailas to bring a lingam , but as Anjaneya could notreturn in time,Sita herself made a lingam of sand. Sri Agasthiya told Ramato perform pooja within the auspicious time.Sri Rama performed pooja accordingto Agama tradition in order to get rid of Brahmahathya dosham.Lord Siva with his consort Umadevi appeared in the sky and proclaimed,that thosewho took bath in Danushkodi and prayed the Sivalingam is called "Ramalingam".TheDeity there is Ramanathaswamy and the place is hence called "Rameswaram".WhenAnjaneya returned with a lingam from far off Mount Kailas, the worshipwas almost over. He got angered and tried to remove the sand lingam byhis hands. Sri Anjaneya tried to pull it out with his mighty tail. After failing in all his attempts, he felt the divinity of Sivalingam madeof sand by Sri Sita.Sri Rama asked Sri Anjaneya to place the ViswanathaLingam on the Northern side of Ramalingam.He also ordained that thepeople should worship Ramalingam only after worshipping the Lingam broughtand installed Sri Anjaneya. The other Lingam is placed for worship nearthe Sri Anjaneya deity at the entrance. This shrine is located at the extreme south eastern point of the Indian peninsula. The sethu bridge was constructed to link this land to Lanka for the Varnarams to reach Lanka. This island temple resembles the Panchajanya (Vishnu's conch) and like the Tamil letter 'OM'. 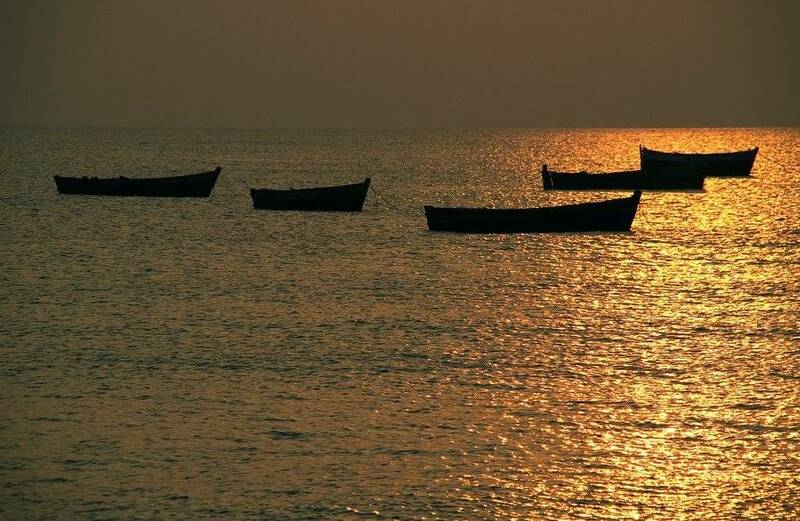 Rameswaram is famous for the many teerthams. There are a total of 51 teerthams, 22 of them situated within the temple. Pilgrimage is considered complete with a bath in the Agni teertham. These waters are considered to have medicinal qualities. It is the custom to worship at Dhanushkodi before going to Rameshwaram. 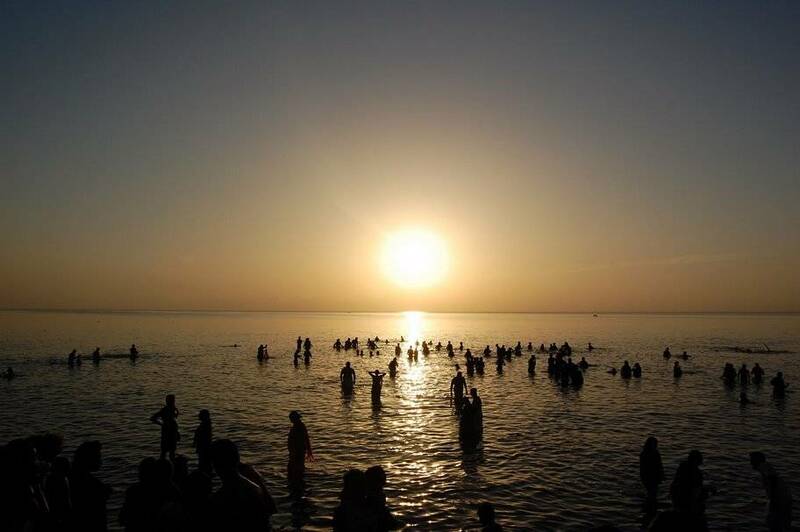 Several spots in this island are associated with Lord Rama. The Kothandarama temple stands at the spot where Vibeeshanan sought refuge to Rama..